Alex Zorko (nicjasno), has been producing some great videos for LPE Power, with tutorials about real car mechanisms and how one can use LEGO to mimic them with closer realism. Basically they're useful notes and tips on how to translate car technology from real life into LEGO. Gearbox plus clutch and how do they work (4+R example in the first tutorial). However, this is not the first time someone addresses topics like these within LEGO cars. 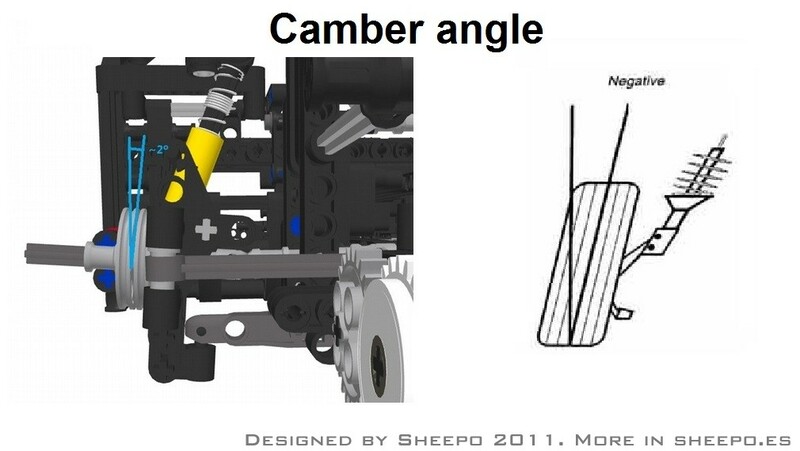 For instance, Sheepo's SuperCar 2011 "Porsche 911 (997) Turbo Cabriolet PDK" [1, 2] and his Modular Platform System (MPS) are very good examples of past work on these same subjects (Camber angle , Ackermann steering , Caster angle , Kingpin inclination and Multilink rear axle ). Subscribe Nicjasno YT Channel, if you do not wanna loose next tutorials! Looking forward to see the next LPE Power tutorials with you. I love the gearbox! Shame i'm a purist but it's fantasticly authentic. Sorry to double post but it's very rare (actually it's never happened) where I feel compelled to say this guy should be working for TLG as a technic model designer. There are many great MOCers out there, many that could design great sets for TLG i'm sure, but this guy is demonstrating real innovation and the kind of authentic and functional detail that I like. I would say tho, in defence of the unimog, it's not a car, it's a unimog. 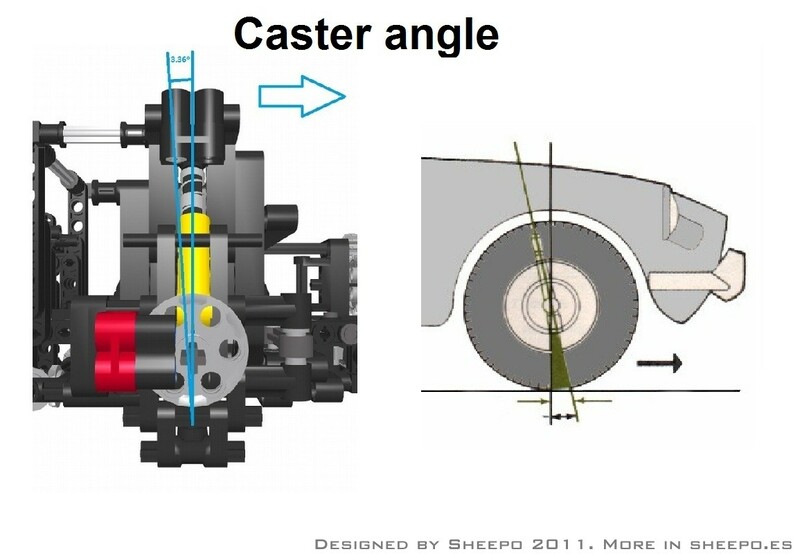 Although I do agree that the axis of rotation for the steering is really far outside the wheel. Lego wheels should be alot deeper to allow the wheel to fit further onto the axle. But I think it's a bit much to expect sports car handleing from a unimog. I sure hope TLG takes ALL this on board, especially with regaurds to the gearbox, when designing their next flagship supercar. 1/6 scale supercar would be sweeeeet. I think it's possible to get said features done neatly in a 1:8 or 1:10 scale package but it would need a whole new leap forwards. There are exceptions to every rule haha! In fact I have also thought about using a 3d printer to make new gearbox parts also. But I would much rather keep pestering Lego until they produce the parts I want! I was just assuming that Alex's cars were around 1:7 to maybe 1:6 scale... I have a 1:8 scale Pocher Testarossa and they are definitely larger than that, in fact the wheels are the 1:8 scale Pocher model are the same size as the Wheels of the 8448 SSS. Yeah, Alex'S cars are deffinately a huge scale like 1:6 or something. I wasn't sure what the scale of SSS wheels was, but that's the scale I meant, 1:8. But yeah, lots of new parts needed for the kind of thing I have in mind. Most noteable the clutch gears with 24, 22, 20, and 18 teeth to go with the 16t one we have now. And a new clutch design so that 2 clutch gears and a driving ring take up 3 studs of space instead of 4 and so that when torque is applied, they pull together instead of trying to move apart creating friction. 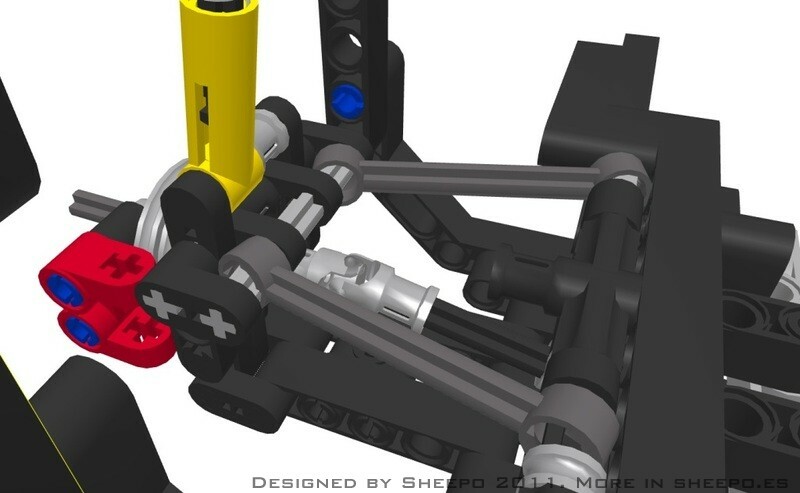 With this you can slide 6 gears (5f+1r) and 3 driving rings all onto a single axle 9 studs long. Now that's the kind of leap forward 8880 was from the test car (which also required many new parts). But it would be so much more authentic and intuative to younger children to see how it works and then use them in MOCs, as well as being more effiecient for those who like to motorise the cars without losing loads of power through the gearbox. I think it's time Lego did an update on its gearbox components, too. Don't forget that the last major update was in the 8880. If they do an update like that on their next supercar, and finally make the motorization option really... optional, then we'll probably have a proper successor to the 8880.